Can i use this method with my paid subscription of O365? The problem is that i have paid for O365 from work, but doesn’t have Visio. If i use the above method, will my computer get confused with calling two different KMS? Thanks. 1 , Upgrade Office 365 to Office 2016 or Office 2019. It become Office 365 base Office 2016 or Office 2019. It sitll can upgrade to future version of Office. 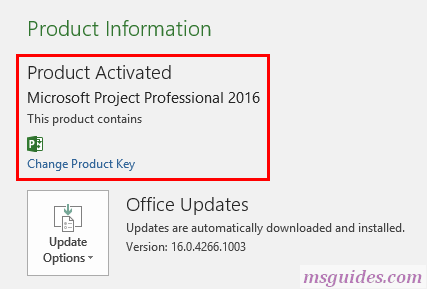 2, then Install Office 2016 or Office 2019 Project and Visio, use the above method to activated. Thanks for the post.. It´s really works! 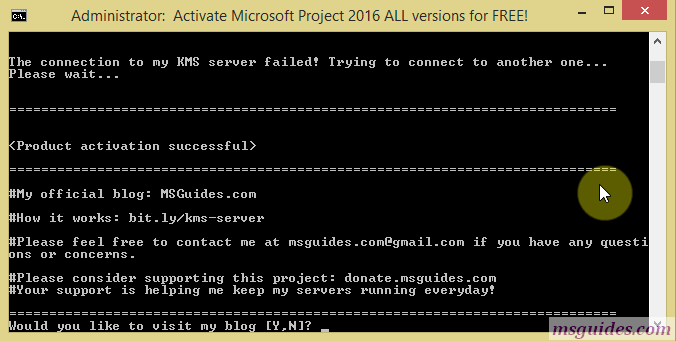 i can’t activate MS project and MS visio in my computer,pls help me to fix that issue. 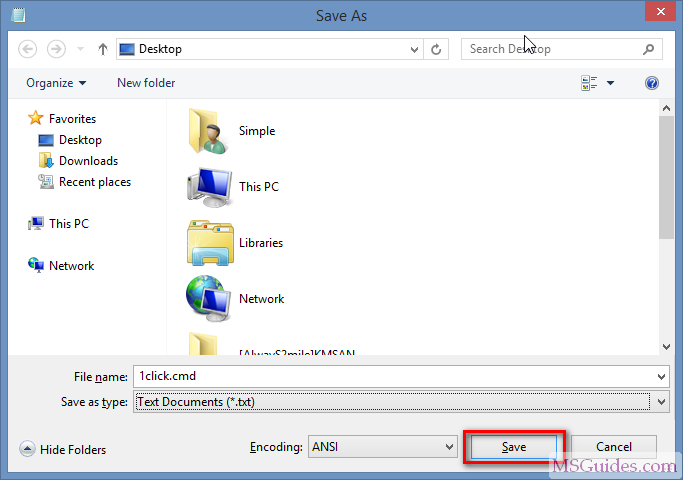 Activation must with Admin ID without restriction and connect internet at the same time. did you fix it? pls share your experience and method. I bet you install more than one copy of Microsoft Project in your PC. The only reason is you got more than a copy visio and project pro 2019 in your PC. 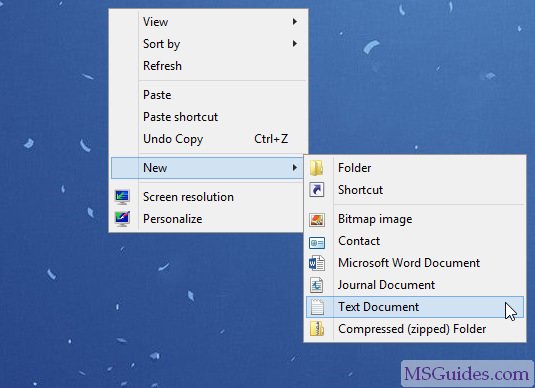 Just keep one copy , uninstall all need to activate visio and project pro 2019 from your PC. We follow your given step and it showing successful when I run the bat file but when I check the MPP about option it showing require activation. Can I just leave it like this? There is no date of expiration written anyway. I don’t found Visio 2016/19, when I can DL it pleaaase ?! 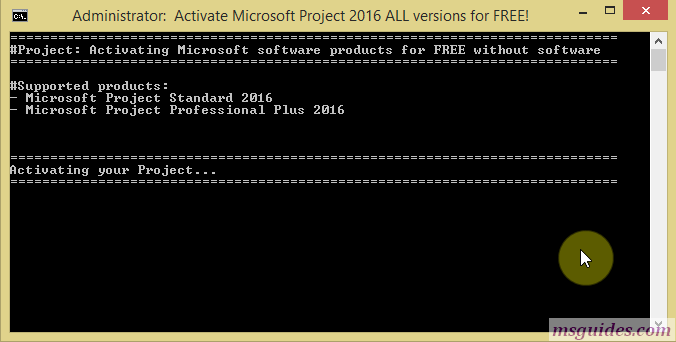 i want Microsoft project 2019 64 bit version to download it please i don’t found it. Office 2019 already downloaded and activated OK, changed to another language. can’t this theoretically also be done with any other software ?